The Last Council Saber Academy is a performing arts group who is studied in the lore of the Star Wars Universe. Our goal is to change the world for the better one performance at a time. 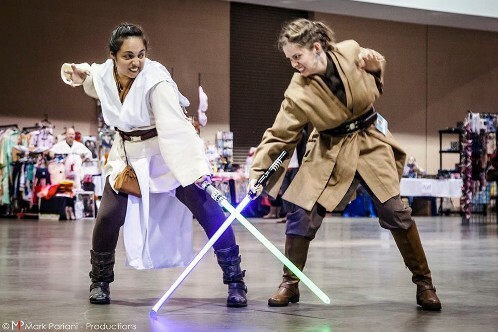 We have performed at many events including MegaCon Orlando, Force Fest, and May the 4th events as well as appearing at local schools to show the youth that through dedication and hard work, one can achieve their wildest dreams, inclufdign becomeing a Jedi! I play two roles in the Academy, while my title is Master of the Order, I am also a lead in the Darkside's portrayal during performances. I can switch to either side or go Grey as needed. For more information about TLCSA, please visit our Website.